The ability to assess risk may decline as multiple sclerosis disease status progresses over time, as determined by a recent study from University of Alberta in Canada. Principal investigator Esther Fujiwara, PhD, and lead author of the study, Ashley Radomski, used the game of dice task (GDT) to challenge patients with multiple sclerosis to make risk assessments. Individuals with more severe disease were less able to make decisions when faced with risky situations. “What we found in our study is that those patients who have increased disease severity, as indicated by a particular subtype of multiple sclerosis or by greater structural changes in the brain, did have greater decision-making disabilities than patients who were considered less severe,” said Radomski in a news release from University of Alberta. The changes seemed to be related to brain atrophy. Radomski and Dr. Fujiwara were motivated to conduct the study to understand how multiple sclerosis may affect decisions that patients must make in their daily lives. “People with multiple sclerosis are faced with many complex decisions on a regular basis—for example, choices about which medications to take or not take, what short- or long-term effects are desirable or undesirable, which side-effects seem acceptable or unacceptable, and so on,” explained Dr. Fujiwara. 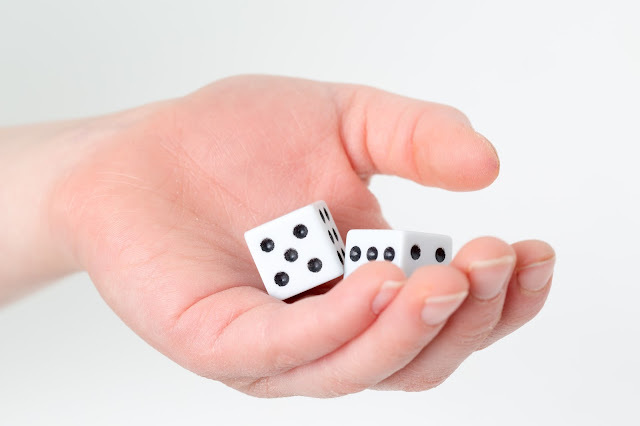 During the GDT, 32 patients with multiple sclerosis and 20 healthy controls were asked to evaluate the risks of throwing dice and choosing combinations of predicted outcomes. According to the article, a less risky choice would be more numbers in a chosen combination. This less risky choice would be accompanied by a lesser reward, potentially leading some participants to choose unwisely. By analyzing this behavior, the researchers were able to draw insights on the way patients make everyday decisions. “About half of people with multiple sclerosis will experience cognitive defects or limitations in that capacity,” said Radomski. “Decision-making becomes important to look at in these populations.” As reported in the researchers’ article, “Decision-making Under Explicit Risk is Impaired in Multiple Sclerosis: Relationships with Ventricular Width and Disease Disability,” which was published in BMC Neurology, these cognitive defects correlated with processing speed and measurements of regions of the brain. Radomski suggests that keeping a journal may help patients recognize their decision-making behavior throughout time. Either the patient or a family member could keep this journal, but it is essential the journal is discussed with the patient’s primary physician or neurologist. “Knowing that decision-making can suffer in later-stage multiple sclerosis, we need to make sure to provide optimal guidance and support in making such complex decisions, and especially so far individuals in more advanced stages of the disease,” said Dr. Fujiwara. She hopes to continue investigations into factors that affect decision making by also examining stress levels in patients with multiple sclerosis.